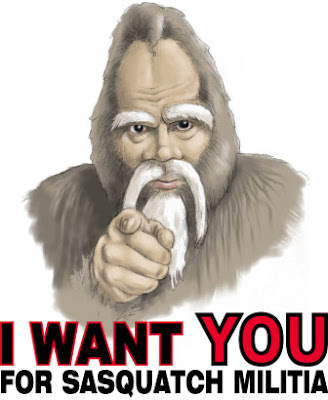 The Republic Of Cascadia Bureau of Sasquatch Affairs is a must see website. You can find them here. 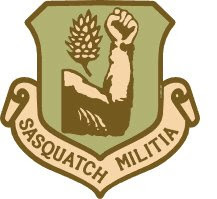 The Bureau of Sasquatch Affairs mission is to enhance the quality of life, promote economic and ecological opportunity, and to carry out the responsibility to protect and improve the trust assets of Sasquatch, Sasquatch culture and Cascadian native hominoids. We will accomplish this through the delivery of quality services, maintaining government-to-Sasquatch relationships within the spirit of Sasquatch self-determination. But the site seems to be so much more. 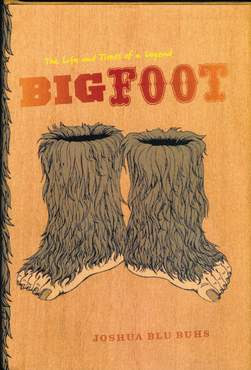 With levity abound and bigfoot humor so subtle only a true bigfooter could appreciate it all. 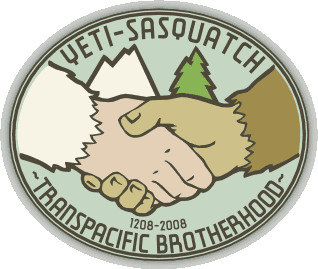 Most of it--I assume--is fictional, you can't help but be amused by the idea of "The Octocentennial of the Yeti-Sasquatch Transpacific Brotherhood Accord", complete with its own logo. I have not even scratched the service regarding the their recruitment propaganda. So give the Bureau of Sasquatch Affairs a visit there is stuff about Enkidu, which is reference to my moniker on this blog, and even some Chewbacca jokes to round out the fun. As you may recall from our post,Anatomy of a Beast, penned by our very own Hermon Joyner; there are outsiders writing about what us bigfooters do and believe. Buhs takes us on a long and windy tour of the early sightings, footprints, fur tufts, droppings and even abductions (at various times, Bigfoot was said to have kidnapped many women and children and at least one man). As amusing as these accounts are, Buhs’s more serious interest lies not in the ape but in the white working-class men who were the beast’s advocates, hoaxers, hunters and most ardent consumers. His main characters are drifters, loggers and a small-town newspaper reporter in the Pacific Northwest. Buhs argues compellingly that Bigfoot’s heyday in the 1960s and ’70s was a difficult time for white, rural men in Ameri¬ca. They were threatened by women’s rights, civil rights and service-oriented, materialist culture that didn’t value working with one’s hands or backwoods know-how. Believing in Bigfoot was a way to snub effete, skeptical scientists. Hunting him re-engaged their imperiled backcountry survival skills. Sometimes, Buhs writes, they dressed as Bigfoot “to touch their essential selves.” Viewing predator-fantasy through a class lens is fresh and interesting, but Buhs overdoes it. Everybody loves a good monster tale. To the extent that Bigfoot transcended race, gender and geography, we have the human brain to thank. We’ve overcome our natural predators, and so most of our monsters now are de-fanged. We’ve imbued them with romance. You can read other news sources reviewing this book below.